Danish Open 2018 is organized by Mr. Nuffle and will be held in Copenhagen. 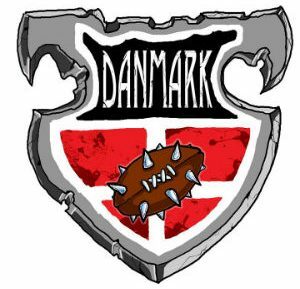 Danish open 2018 is NAF sanctioned. Saturday and Sunday, 2nd – 3rd of June 2018. The full rulepack can be found here. 1st, 2nd & 3rd place. “Dansk Mester”, the best placed Dane, if this is not the winner of the tournament. NAF Trophy for the Winner and a special version of the Danish Open 2018 pitch 32mm. Prize for best painted team. 2-1-0 – Swiss all the way. Random draw, round 1. 4 Games saturday and 2 games Sunday. Final schedule is in the rulepack. This tournament is NAF sanctioned, which in turn means that you need to be a registered member of NAF. Payment PAYPAL :: lars@smail.dk – add NAF NICK. Danes can use MobilePay: 60 64 94 94. 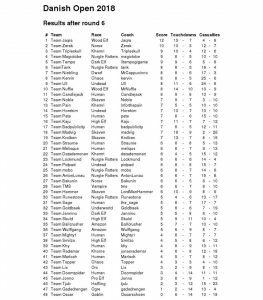 If your roster is sent to tripleskull@bloodbowl.dk by May 26th, you will recieve +1 fan factor. You can download a roster here. You can download the ATV rules here.